Meet Sophie! She is 11 weeks old (12/19/2016, she was born on Oct 5, 2016) and only 3 pounds. She was rescued from a local shelter by us when she was only 2 weeks old. We bottle-fed Sophie and her sister, Audrey. 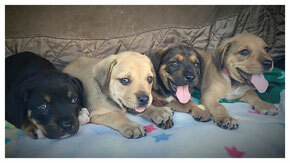 They are so healthy and ready for finding their forever home. Sophie is very tiny but can be very playful. She loves all people she meets and very friendly. She gets a little shy with new dog friend but is currently at her foster home with some other small dogs and large dogs. She is already spayed, utd shots (except for a rabies shot due to her age) and microchipped. She has been also trained to potty on a pee pad. If you're interested in meeting him, please fill out our "Adoption Application"
Henry just joined DOGzHAUS rescue from a local high kill shelter. He is waiting to be neutered. 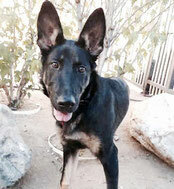 Sweet Luca is 4.5-5 months old, 45 lbs, neutered male and available for adoption. He gets along with any dogs he meets and loves people so much. He is a big puppy without a training so he still has a lot to learn and needs more proper training. He has a med-high energy. Crate trained. Almost potty trained. 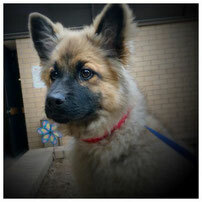 Brownie is about 4-5 months old German Shepherd/Chow Chow mix. He is currently 25 lbs and will be about 40-50 lbs when he is fully grown. He is very active as a puppy and loves people and playing other dogs. 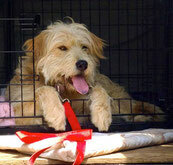 Because he has a little sensitive personality, he may do better with a submissive dog who does not pressure him a lot. He is already neutered and received UTD shots. 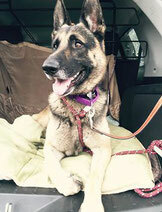 Dutchess was just rescued from a local shelter and is at her foster home. She is UTD on shots, and spayed. 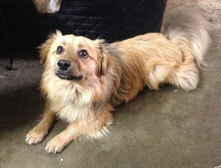 He is a sweet 3-4 years old boy who gets along with other dogs and very affectionate. He is submissive and would like to stay right next to you all the time. He came to the local shelter as stray with other dog (might be his brother) but is okay to be adopted individually. He is UTD on his shots, micro-chipped and already neutered. He is very sweet and approximately 3 years old. He is good with other dogs of his size or a little bigger. He is a little scared large dogs over 60lbs. He is the sweetest and most affectionate dog but is scared of loud noises. This makes us think he went through some tough times on the street before he was brought to the local shelter. Read More ...... 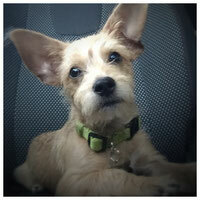 If you are interested in meeting him, pPlease fill out our "Adoption Application"
Meet Leo! Le is a happy young dog 14 lb boy, and obviously quiet handsome. He is about 1-2 years old. He is definitely part Pomeranian, but larger and longer, we are guessing some spaniel and possibly a bit of chihuahua or Doxie. He is very playful and social engaging. He is great with other dogs and cats. Jacks is a darling, zippy little doodle of a dog. 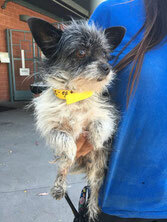 He was rescued from a high kill shelter in pretty scruffy shape. He needed a major haircut and some TLC due to neglect in his former life. A couple of things we know for sure arae that he is very friendly and trusting with people and he's completely housebroken. He's also very puupy like in his energy and sweetness. He loves to play and run around and then nap hard in his little bed. 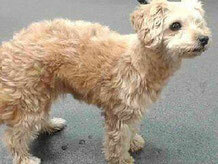 He is a 2 years old poodle mix with soft fluffy fur that does not shed and a charming underbite. Only 7 lbs, he's perfectly portable and ready to go with you on any of your adventures. 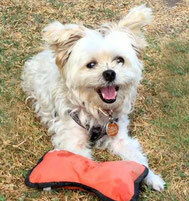 He will make a very lovable companion for anyone looking for a small dog. Jolene was just rescued from a local high kill shelter. She is currently receiving treatment for a medical condition. More information will be posted soon. Ryder was born 03/01/2016. He and his siblings were rescued with their mom, Reese, from a local shelter. We guess he will be a large size about 70-80 lbs when he is fully grown. He has a big sweet personality already and loves to play fetch. He loves all dogs, people and children. With a training, he will be an amazing dog. He is crate trained, potty trained, loves water, and is very smart. He is already neutered, UTD shots and microchipped. Read More.............If you're interested in meeting him, please fill out our "Adoption Application"
Remy is a 1 year old cocker spaniel mix, per her shelter paperwork. However, every where we go, people say "Oh an Aussie Shepherd". 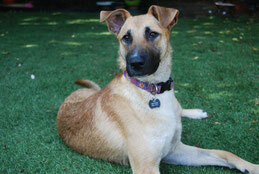 She has a calm temperament and a playful personality and the best eyebrows. She likes to go on walks, but is also happy to take a nap on the floor while the humans go on their computers. She is 28 pounds and is a good eater. 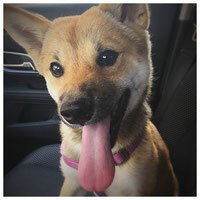 She gets along with other dogs, and enjoys when her foster mom takes her to day care to socialize and play with people and other dogs. Her best friend is a 7 year old German Shepherd. She is crate and potty trained. We just rescued him from a local high kill shelter on June 13, 2016. He is 3 years old, GREAT with other dogs in medium to large size but maybe not so great with small size dogs and cats... He is good with small children. 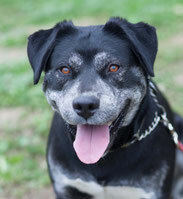 He is super sweet, super smart, great on leash and would like to love and be loved. He is a little on the skinny side from the shelter life and could benefit from 5-10 more pounds. He is currently 74 lbs. A very handsome boy. If you're interested in meeting him, please fill out our "Adoption Application"
Lucy was just rescued from a local shelter. A 6 month old sweet girl was surrendered by her previous owner because they did not have a permission from their landlord. 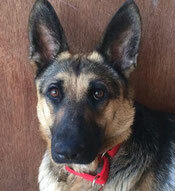 She needs a training and has a lot to learn but is very friendly to all people and other dogs. 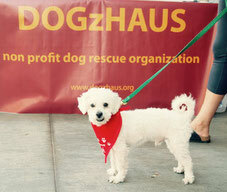 Lucky arrived from Tehran, Iran and joined DOGzHAUS rescue. He was abused in Iran all his life and luckily got a ticket to be transferred to the US thanks to Iranian dog rescue group of people. 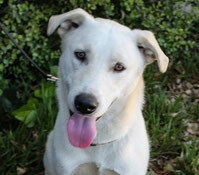 He is 1.5 years old, Anatolian Shepherd mix, about 55 lbs. 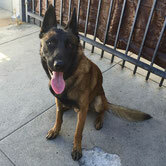 Sweet Diesel is about 1-1.5 years old, 50 lbs, pure bred Belgian Malinois. He is good with other dogs and great with people. 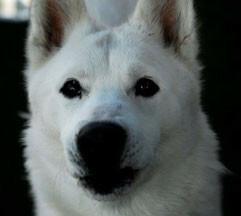 He came to the local shelter as a stray.. he waited his for his owner to come to pick him up... but no one came for him. He was just rescued by our rescue group and settling down at his foster care. Not available for adoption yet and his information will be posted soon once he is ready for the adoption. 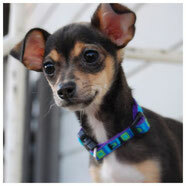 Tiny Tim is a teensy treasure! 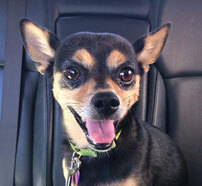 We’re not sure of his pedigree…Part Chihuahua, part terrier, part skunk? All we know is Tiny is 100% adorable! He's neutered, potty trained and current on all vaccines.At less than 6lbs this pint sized pocket cutie is cuddly and spunky at the right times. He is about 4-5 years old. He has been in foster care for almost a month now since being pulled from a high kill shelter and he has been an absolute pleasure to host. Watching him zip around and play and let loose like a bigger dog is so much fun! He certainly has left his past behind, moved on and embraced his new life. He’s shown himself to be very devoted to his foster mom and is an excellent snuggler. He gets along great with cats and dogs and people that he meets. He also does well on his own, playing with his toys. He likes car rides and walks very well on a leash. For a little guy, he even eats like a champ! Like most little dogs, he can be a bit shy at first, but warms up quickly. Tiny is an absolutely darling, wonderful, sweet dog. He's neutered, potty trained and current on all vaccines. 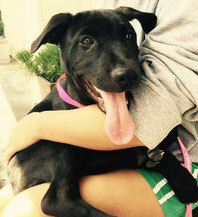 Beyonce was just rescue from a local super high kill shelter. Gracie is about 2 years old, about 10-11 lbs. She is spayed, got UTD shots and microchipped. She is a very nice dog who is super sweet and good with other dogs. She does not really play with toys or other dogs. She is just quiet, chilled, easy and cute. We just rescued her from a local super high kill shelter on June 11 and will have more information about her soon. Meet Yoda! He was wandering in middle of field and a good samaritan found him. Fortunately, he survived in the field... 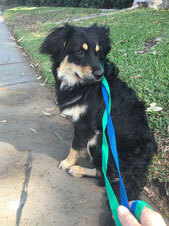 Unfortunately, nobody claimed as his owner... we got a call for help and decided to rescue him. He is about 2.5-3 months old and currently about 5-6 lbs. He will stay in a small size dog. 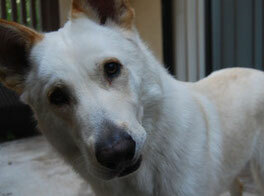 He is GREAT with other dogs, cats, people and super sweet. He loves to play but actually he is very relaxed and does not even bark often. A very nice puppy. Meet Captain! 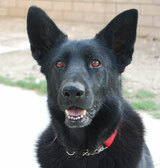 Captain is a 2 year old young very handsome dog. He might be a pure bred Shepherd but we think he is a Shepherd mix (possibly with Siberian Husky) His color is almost white but has some cream color as well. He found himself in a local high kill shelter as a stray dog and we were able to rescue him from the shelter at his last day before his was euthanized. He is a very calm, easygoing guy, who loves affection. He just wants to be near you, with you, and be your best friend. He is very relaxed when he is home and just lies down next to you. But he is a young dog and can be puppy-like if he wants to... He is not so interested in toys but loves chewing toys or bully sticks. 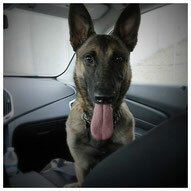 He is good in the car as well. He is potentially housebroken. His current foster care has a way to access the back yard area so he has never had any accidents in the house. It is unknown if he would like to live with a cat because his current foster does not have any cats, but on walks, he does want to chase one if seen. He seems good with other dogs. He recently had a dog training and did live with 15-20 dogs and his trainer there for few weeks during his training, therefore he can live with another dog. Though, he seems more like a "love being around people" so he may be happier as the only dog in the household. Because he does not really play with other dogs. He walks "okay" on the leash. However, when he sees cats, squirrels or some dogs, he gets a little excited, no aggression but excitement... because he is a strong dog, we prefer the experienced large dog owner or a confident handler for him. He is very people-friendly, and good with kids. He is beautiful and very unique looking. He gets a lot of compliments everywhere he goes. People will love to come up to you as a result. Meet Puppy! He is a 6 year old Shepherd/Beagle mix, 38lbs and knows many commands. Also, he is a king of fetch! He loves tennis balls and will play fetch with you all day. This adorable boy is looking for his forever home. He is great with other dogs and cats. He used to live with small children and were good with them. He came to the shelter as an evidence dog because he was involved with the incident. 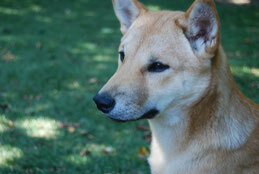 However, he is a friendly dog and can be a great family dog. If you are interested in meeting him, please fill out our "Adoption Application"
Phantom was born 03/01/2016, He and his siblings were rescued with their mom, Reese, from a local shelter. He has a sweet personality. We imagine he will be 75-80 lbs when he is fully grown. Pochi was born 12/04/2015 and is currently 5 months old. He came to our rescue group with his siblings. He has a possible adopter now. He is already neutered, got UTD shots and microchiped. Olive was born 12/04/2015 and is currently 5 months old. She came to our rescue group with her siblings. She is at her foster care and her foster is going to keep her. She is already spayed, got UTD shots and microchiped. Issy was born 12/04/2015 and is currently 5 months old. She came to our rescue group with her siblings and has been placed at her foster care. She is a very sweet girl who loves people and other animals. She is already spayed, got UTD shots and microchiped. Kit was born 12/04/2015 and is currently 5 month old. 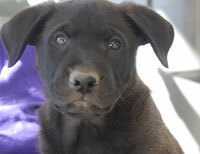 He came to our rescue group with his siblings and has been placed at his foster care. He has a sweet personality. Bear was born 03/01/2016. He and his siblings were rescued with their mom, Reese, from a local shelter. He is a big boy. We guess he will be about 75-85lbs when he is fully grown. He has a very sweet personality and playful. Riley was born 03/01/2016. She and her siblings were rescued with their mom, Reese, from a local shelter. We guess she will be a big girl like 65-70 lbs when she is fully grown. She is a very sweet girl with a big personality. Callie was born 03/01/2016. She and her siblings were rescued with their mom, Reese, from a local shelter. We guess she will be about 60-70 lbs when she is fully grown. She is smaller than her siblings and has a mellow personality. Luna is about 10-11 weeks old puppy. She is about 12 pounds and still very small. We guess she will be a medium -large size dog about 45-50 lbs in the future. She is very sweet and loves people and other animals. 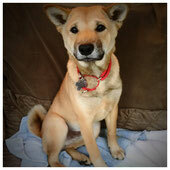 She just joined our rescue group on April 9 and more info will be posted soon! Before I was in foster care, I used to have a mommy that I loved a lot. Sadly, she passed away and my dad took me to the local pound.... It was cold and scary there and I missed being home. 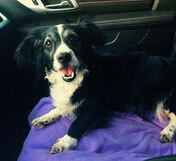 Marvin just joined DOGzHAUS on 01/14/2016 and more information and new picture will be coming soon! Berkley just joined DOGzHAUS on 01/13/2015. More information about him and new picture coming soon! 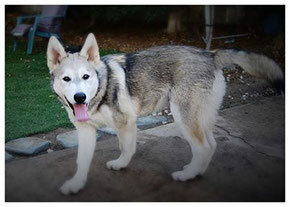 He is 67lbs, 2 years old Siberian Husky we rescued from local high kill shelter. He was kenneled with Marvin (above) in the shelter (they did not come to the shelter together) He is a strong, smart and sweet boy who needs some leash training. 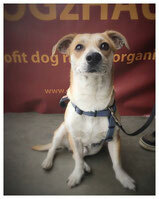 Lily just joined DOGzHAUS rescue from a local high kill shelter in Downey on 01/29. 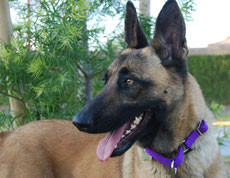 She is 1-1.5 year old, female, 60lbs, pure bred Belgian Malinois whose owner never came to pick her up from the shelter. She was suffering from URI and needed to leave the shelter as soon as possible. DOGzHAUS immediately rescued her and took her to our vet. She is currently at our vet and getting proper medical treatment. Rocco is young, 3-4 years old neutered male, and we think he's a Lab, Rottweiler, Queensland Heeler mix (the salt and pepper markings), and a perfect size at 53 lbs. Rocco is genuinely always happy and loves to socialize. 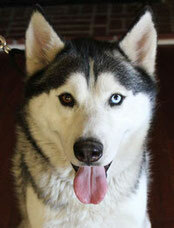 Tonka was just rescued from a local shelter and is not ready for adoption yet. He has Cryptrochid and is waiting few more weeks for his neuter surgery. Once he is neutered, he will be available. 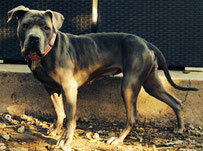 Appx 2 years old, spayed female, 65lbs, Danika is the sweetest dog and loves everybody she meets!! She is great with other dogs and very quiet. She was in the local kill shelter about 5 months!!! She is now safe with DOGzHAUS and is getting ready for the adoption. More information about Danika is coming soon!! !